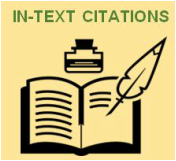 In-text citations﻿ ﻿tell readers that additional information about the outside sources you have used in your research can be found on the reference page at the end of your paper. Remembe﻿r that each in-text citation in the body of your paper must be listed on your reference page and vice versa. The APA Manual﻿ lists﻿ two exceptions to this rule: (1) classical works that are standardized (e.g., religious and ancient texts); and (2) personal communication that cannot be readily retrieved (e.g., private emails, letters, and memos). Here is a list of common source types; each is linked to a page containing format instructions and best practices. 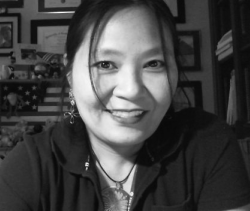 All formatting guides pertain to both print and electronic sources. For more information on source types and in-text citations, consult Publication Manual of the American Psychological Association, 6e.